EVOLVE made its “South Philadelphia debut” last night for the final wrestling event at the ECW Arena (hard to believe I’m writing that). As you’d expect the building was packed, as it was for CZW’s afternoon show. In the opener, Ahtu had an “open contract”…fans heard familiar music they hadn’t heard anywhere in a couple years…as Low Ki came out to one of the bigger non-ECW pops of the night. In one of the few mentions all day of CHIKARA, Jigsaw thanked fans for supporting CHIKARA at the ECW Arena. Given CZW’s strong role in the day’s proceedings, probably not so surprising, given the heat between the promotions and promoters. As part of the remembrance of the history of the ECW Arena, intermission saw the tape used at the “Then and Now” show when CZW returned to the ECW Arena after XPW had taken over the building in 2002, honoring the history of ECW..and connecting it with 2002 CZW. Uhaa Nation pinned Pinkie Sanchez after two shooting star presses. This young wrestler is talented as hell, and will wind up with Vince McMahon one day, mark my words. He has the body McMahon likes…but incredible athletic talent. Bobby Fish (seconded by AR Fox) submitted Sami Callihan with a knee bar. Post-match, Fox tried to goad Callihan into hitting him with the beer bottle, handcuff his own hands behind his back (great visual). In the final “official match” of the ECW Arena’s history, Johnny Gargano retained his Open the Freedom Gate Championship, submitting Ricoche with the Hurts Donut and the Gargano Escape. Post-match, Gargano was taken out of the Arena by ambulance, with reports of a back injury. He seemed off for the later half of the match, though, which makes me wonder if he got his bell rung. After the final official match, Joey Styles came out to a huge ovation, Tod Gordon (the first time Gordon’s been in the building in many years), JT Smith, and gart “Pitbull #1″ Wolfe came out to close the Arena, and what everyone assumed was the feel-good moment to close the show. DJ Hyde and Team CZW came out to say if anyone were going to close the ECW Arena, it would be them, given that they ran more shows at the ECW Arena than ECW (true, actually) The saves began with Ballz Mahoney. CZW turned the tide again. Then “Gangsta’s Paradise” kicked in….with New Jack crashing the ring with a garbage can full of crutches, and other plunder. Justin Credible came in…but on DJ Hyde’s side and Sabu make run-ins on ECW’s behalf and Justin Credible on CZW’s. After the match, Callihan attacked Sabu and cut a promo about how he had “taken ownership of the Arena from ECW”; and in a really charged promo, said he was “tired of extreme reunions, and the funerals”; and said to turn out the lights. The lights went out with Metallica’s “Fade to Black”, a reference which went over the head of a lot of fans, who when the light went off, were waiting for some other sort of run-in to make the save. There is already a lot of online controversy about this ending. I get that Gabe Sapolsky promoted this as an EVOLVE show well ahead of time, and made clear beforehand that this was what it going to be; but with an ECW remembrance. He used the ending to get over Calihan as a despicable heel…the right thing for his promotion. In addition, during the afternoon’s CZW show, there was also a Shane Douglas (Douglas had been booked months ago for a Crossfire Entertainment show in Nashville, TN) promo for an “Extreme Reunion” show to be held at the Philadelphia National Guard Armory on April 28. Mike Johnson reported overnight that this is not just a one-off show, but is part of some longer-term “project”. 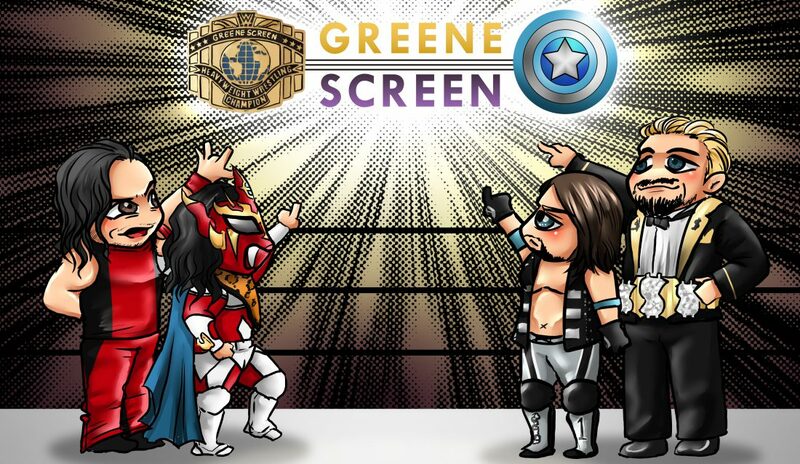 Given open-ended things were…and given the involvement in the night-time show of CZW, it seems that CZW and EVOLVE are somehow involved with this project. So those two elements somehow come into play with the ending. But a lot of people were pissed. They wanted the feel-good ECW ending. Instead, Gabe Sapolsky gave them a different ending. Only time will tell what effect that will have on any shows EVOLVE intends to run in the Philadelphia area. 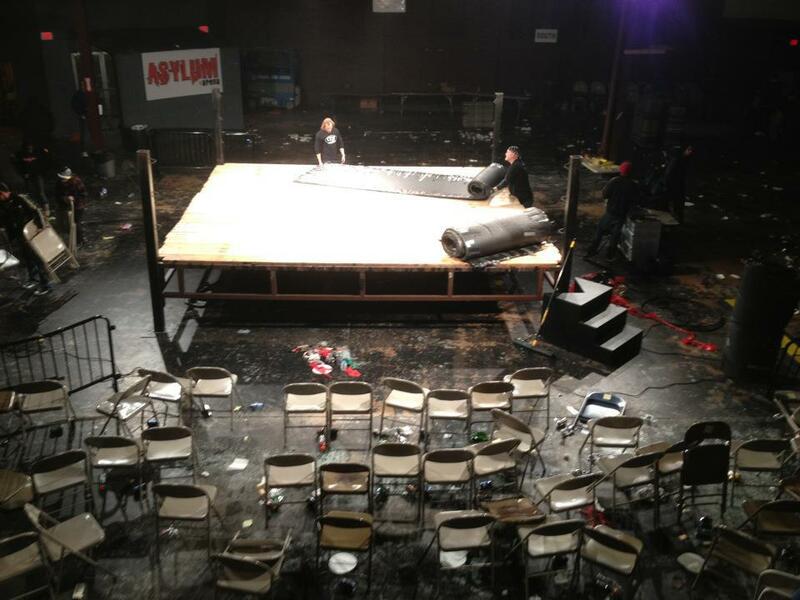 A lot of people came to the show, not because it was an EVOLVE show…but because it was the last show at the ECW Arena; pretty obviously when some of them got impatient at moment during the Gargano-Ricochet match. There will be wrestling at Swanson and Ritner at a future date, after the “extensive renovations” are done. I have no doubt about that. But when fans walk into that building, it won’t be the ECW Arena. It’ll be a concert hall at that address. ‹ Wrestling Soap Box: Cena, Kane, Jericho & more!